THE ARMENIAN HIGHLAND is the first and only historical guide to the Armenian nation in Western Armenia and in the now-overrun territories of the First Armenian Republic of 1918 (Ani and Kars). 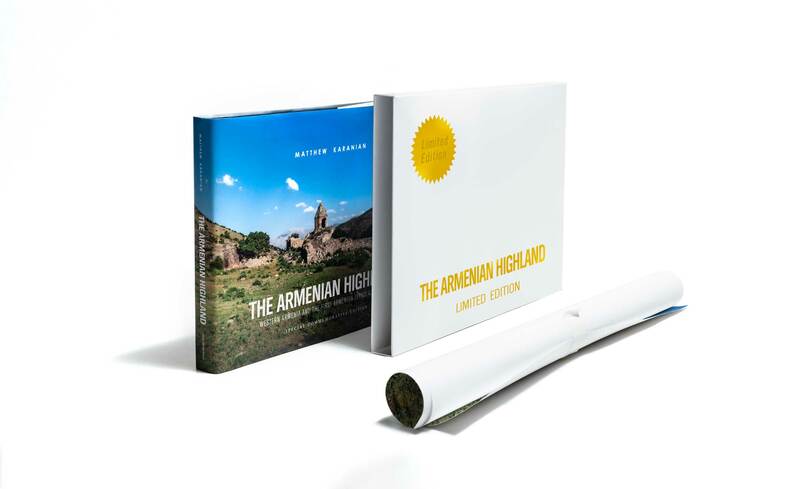 This hard-cover book tells the history of the Armenians on their ancient homeland in the Armenian Highland through a combination of photography, maps, and text. Modern color photos depict the ancient Armenian homeland– all the Armenian provinces of the former Ottoman Empire as well as Ani and Kars– as it exists today. Antique images show the same scenes as they appeared one century ago, often juxtaposed with stunning effect. The field research and photography is original and are the product of the author’s travels throughout the lands of the Armenian Highland from 1997 through 2018. THE ARMENIAN HIGHLAND book includes detailed maps that show the Armenian nation as it existed until 1915. The maps are adapted from the works of the cartographer and scholar of Armenian history Prof. Robert Hewsen. The book also includes antique maps by Mardiros Kheranian, a famous cartographer whose maps are on display at Echmiadzin and at Yerevan’s National Museum. Book design and creative direction by Harut Genjoyan of AlphaGraph, LLC, Glendale, California. Web design by Armen Arakelyan of Brand Pik, Glendale, California. 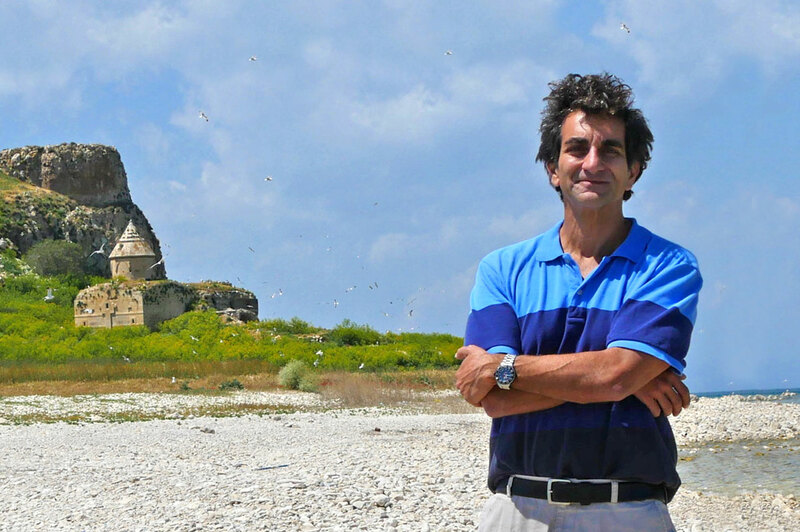 Matthew Karanian is a lawyer and the author of several books about Armenia. He first traveled to the Republic of Armenia in 1995 and then to the historic lands of Western Armenia two years later. This book is the product of the author’s numerous research trips to Western Armenia since 1997. Karanian lived in Armenia’s capital city of Yerevan during the early days of Armenian independence and served as an advocate for Armenia’s non-governmental organizations. As a legal scholar, he later served as Associate Dean of the law school at the American University of Armenia, where he taught international law and founded the Armenian Law Review. He is the 2016 recipient of the Arshile Gorky Medal from the Republic of Armenia in recognition of his contributions to the arts and for his role in helping to build bridges between Armenia and its worldwide Diaspora. ‘The Armenian Highland: Western Armenia and the First Armenian Republic of 1918’ is Karanian’s latest publication. Most orders are filled within 24 hours. Book presentation by author Matthew Karanian, followed by special screening of the film Journey to the Homeland (Directed by Nora Hovsepian). Co-sponsored by Glendale Hamazkayin and the Armenian National Committee of America-Western Region (ANCA-WR). 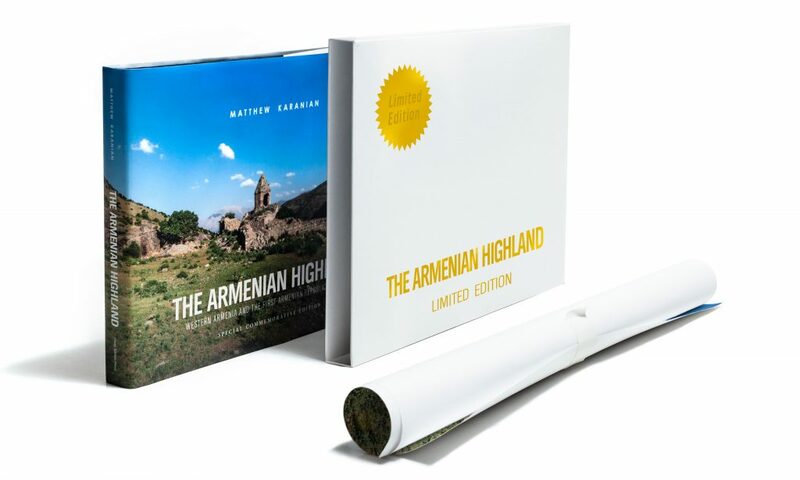 Illustrated presentation of The Armenian Highland by Author Matthew Karanian. Co-sponsored by the Ararat Museum and the National Association of Armenian Studies and Research (NAASR). Books will be available for purchase at the event. Armenian Museum of America, Watertown, Mass. 7:30 pmArmenian Museum of America, 65 Main Street, Watertown, Mass. 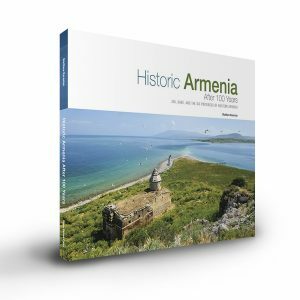 Photographic slide show featuring spectacular images from the Armenian Highland-- lands more commonly known today as Western Armenia or as Historic Armenia. Co-sponsored by the Armenian Museum of America and the National Association for Armenian Studies and Research (NAASR). Free admission. Public invited. Reception following presentation. Books available for purchase.